Notes: Biennial report of the Dairy and Food Commissioner of WI: spelled Keleher 1896, Kelcher 1901, Kelliher, Kelleher 1898, 1903, 1922, Keliher 1909, 1913, 1916, Kelleher 1922. Kallaher Cheese Factory until burned and rebuilt in 1928. Rebuilt and renamed Pleasant Valley Cheese Factory by 1930. Peculiary PO 1901 Chas. Bush, mgr., Elvers 1898, 1903, Blue Mounds 1913, 1916, 1922, 1930, RD 1 1909. In 1896 report there is a "Pleasant Valley Cheese Factory" listed as well as Keleher (which was renamed Pleasant Valley by 1930). Could this be a typo for Pleasant Spring? Wisconsin Historical Society, Wisconsin Architecture and History Inventory- Architectural Style: Other Vernacular. Wall Material: Concrete Block. 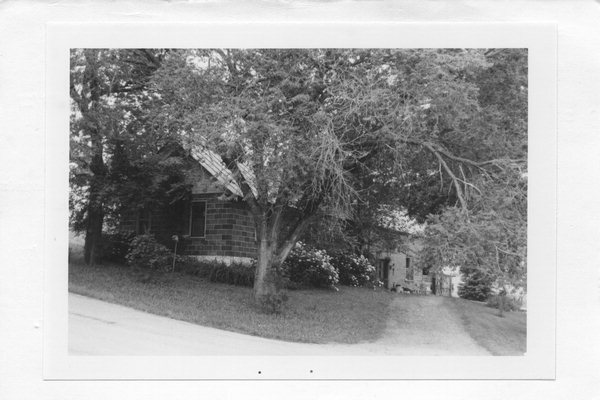 From "The Town of Vermont - 'The Early Years'", Marian Swoboda: "on the corner of County Highway F and Zwettler Road, also built between 1880 and 1890, was first named Kelliher Cheese Factory. Around 1928 it was destroyed by fire. After it was rebuilt it was name the Pleasant Valley Cheese Factory. Brick and limburger cheese were made at the factory. In later years it was American. The factory closed in the late 1960’s. It is now a residence."